Sun, beach, golf, culture and traditions: the keys to a successful holiday! The Iberian peninsula is a land full of flavour and an excellent summer destination. We encourage you to discover its culture which is marked by traditions, its history and its gastronomy by selecting a beautiful villa rental in Spain. From Catalonia to Andalusia passing through Castille and Leon and the unmissable Balearic Islands such as Ibiza, Villanovo have handpicked luxury villas in Spain, houses full of charm, spacious and tastefully decorated. Our villa advisors will help you to organise a made to measure holiday. House staff, chef, baby-sitting...Villanovo will take care of everything for you! 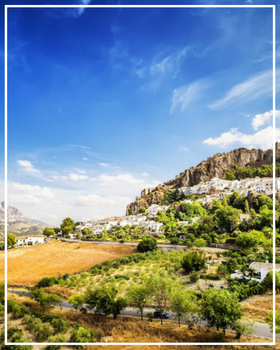 Choosing Spain as your next holiday destination means ensuring a pleasant stay in a country shining through its traditions, festivals and nature. Whichever city you want to drop your bags in, expect pleasant surprises. Staying in a luxury villa will be the icing on the cake! Luxurious and contemporary apartment very close to Paseo de Gracia, with 2 bedrooms. Modern two bedroom apartment, ideally located in the Eixample district, close to shops! Luxurious apartment on the famous Paseo de Gracia, with view, 2 bedrooms, rooftop shared terrace. Apartment in the heart of Barcelona, with 2 bedrooms and a lovely terrace. Luxurious and spacious apartment, very close to Paseo Gracia, with 4 bedrooms. Beautiful high standard 140m2 apartment, 5 bedrooms and 2 bathrooms. Superb villa in Cala Salada, with 5 bedrooms and 4 bathrooms, private pool, sea views and absolute tranquillity! Beautiful villa located in an upscale residential area 50 metres from the beach, 5 bedrooms and 4 bathrooms. Spending your holidays in a high-end house during your stay in Spain will allow you to enjoy optimal comfort in a renowned country. For history buffs, spending your nights in a historic city like Barcelona is a dream come true. You can, after a hearty breakfast, walk the lively streets of Barcelona and go on a historical treasure hunt. Your walk will take you, for example, to the Gothic Quarter (Barri Gòtic) hosting architectural wonders such as the Cathedral of Santa Croce in Barcelona or the palace of the Generalitat of Catalonia. You will quickly realise that Spain is unique and is home to splendid masterpieces that promise you a pleasant journey back in time. Castles, museums, religious buildings, fortresses, palaces, archaeological sites and caves are all cultural pearls that colonise the towns and villages of this majestic southern European country. The Spanish culture can also be discovered through its gastronomy. During your holidays in your luxurious residence, enjoy lunch with family or friends, in the taverns populating the cities. Influenced by the different trips formerly made in Latin America, Africa and Asia, Spanish gastronomy is adorned with a thousand colours and flavours. During your stay in your luxury villa in Spain, consider taking a tour in the markets. You will surely taste the best traditional recipes in the country, such as in Madrid, for example, Cocido madrileño, a succulent stew of meat accompanied by chickpeas. Renting a luxury home during your holiday to Spain also means getting closer to nature. Not only does the country shine through its urban landscape strongly impregnated by history and its colourful cuisine, it also deserves praise with regard to its natural heritage. Enjoying a Mediterranean climate, semi-arid and oceanic, the country is indeed adorned with a palette of landscapes that will obviously seduce the enthusiasts of ecotourism. There is something for every taste and every desire! Hiking lovers will be delighted by the many protected areas classified as UNESCO Biosphere Reserves. Your walk will take you to the foothills of volcanoes and verdant mountains, amid forests and lush valleys and even to the beautiful sandy beaches overlooking a turquoise sea. The national park of the tablas of Daimiel, the national park of the Teide and its lunar landscapes, the national park of Garajonay are only some examples of the magnificent reserves enhancing the unsurpassed beauty of Spain!